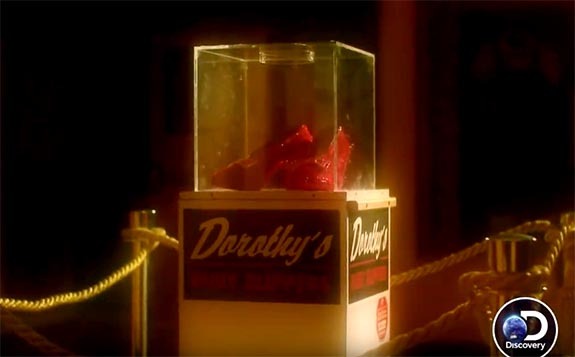 Adventurer Josh Gates investigates the 2005 theft of one of the most iconic pieces of Hollywood memorabilia of all time — the ruby slippers worn by Judy Garland as Dorothy in The Wizard of Oz — during Tuesday night’s episode of “Expedition Unknown” on the Discovery Channel. 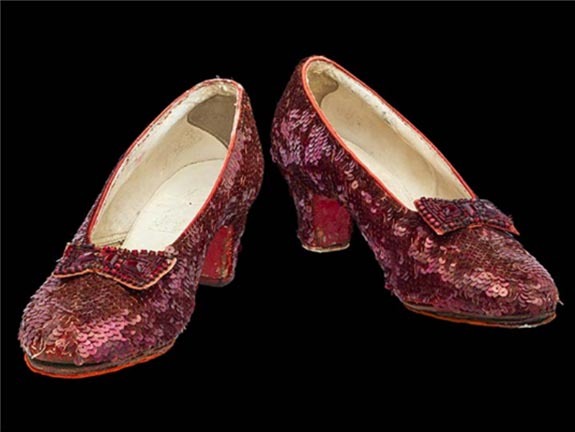 On August 28, 2005, a pair of ruby slippers that had been on loan to the Judy Garland Museum in Grand Rapids were stolen in the dead of night. During Gates’ investigation, he discovers that the heist has all the earmarks of an inside job. The alarm on the museum’s emergency exit door had been deactivated. The access door to the exhibit area had been left unlocked and the security camera that had been aimed at the ruby slippers was turned off. Recently, one of the remaining pairs was offered for sale by auction house Moments in Time for $6 million. Another pair is undergoing extensive conservation care and will be returning to the Smithsonian’s National Museum of American History on October 19.